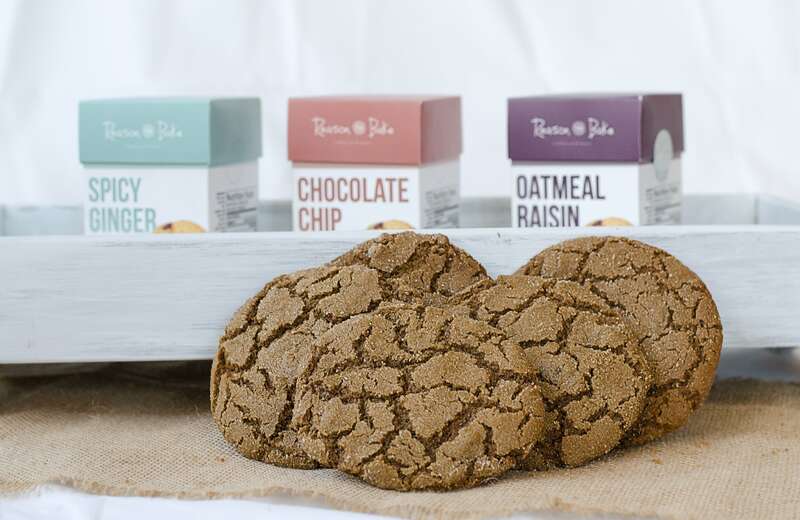 We offer party boxes of fifty-four (54) delicious, made-from-scratch non-GMO cookies that are preservative free and baked with only the finest ingredients. Perfect for the holidays, business meetings, school clubs, group snacks, birthday parties, reunion lunches, and other special events. 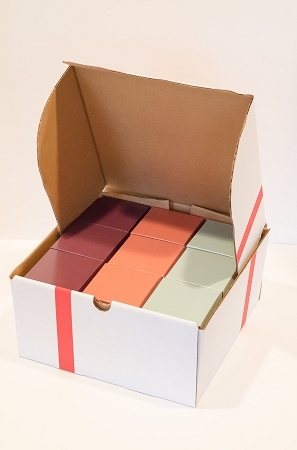 9 packages of cookies in each party box. 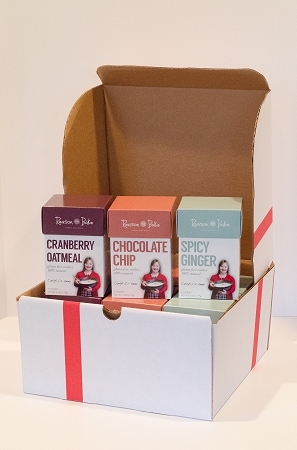 Each wrapped package contains 6 cookies. 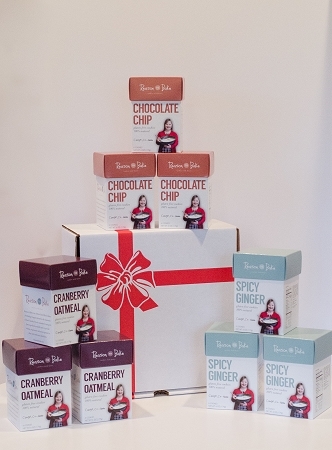 Available in Single Flavor (9 packages) or Variety Pack (3 packages of each flavor: Spicy Ginger, Chocolate Chip, Cranberry Oatmeal). 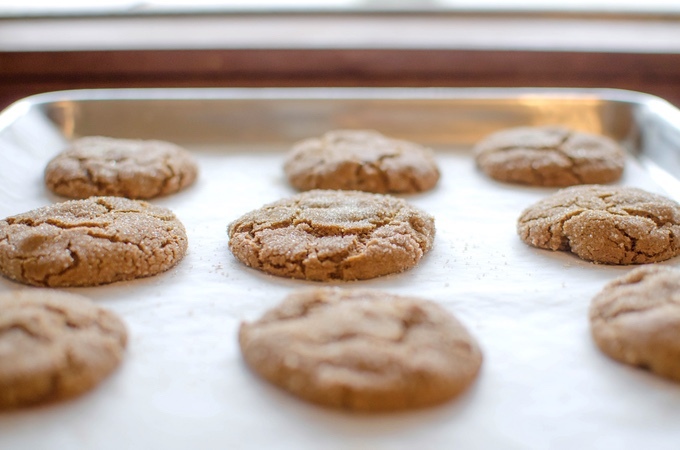 Your guests will swear these cookies just came out of the oven! TIP: You can order ahead and put a note in your Checkout Notes when you would like your order to be shipped. This will guarantee ultimate freshness. Packages of cookies stay fresh for approximately 3 weeks. TIP: Wondering what to do with cookies leftover from your party? Our Reason to Bake cookies freeze well! Simply pop in the freezer, then thaw and heat in the microwave for 10 seconds. Voila!